House of Representatives Obamacare lawsuit: Judge rules the case can move forward. 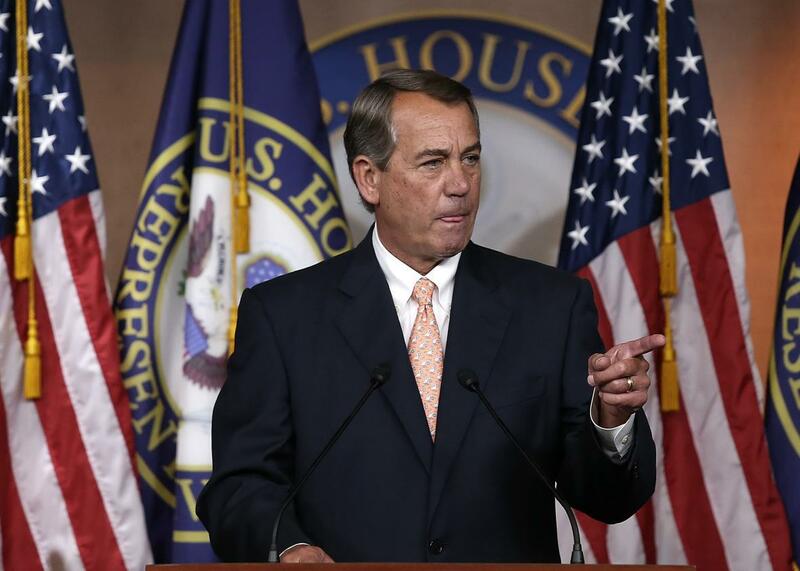 For once in his tortured career, John Boehner has something to celebrate today. What, you thought the legal drama over Obamacare was over? In Washington on Wednesday, a federal judge ruled that the House of Representatives could move forward with a lawsuit against the Obama administration over its implementation of the health care reform law. If the case succeeds, it could potentially muck up an important piece of the legislation designed to help lower-income families afford higher quality coverage on the Affordable Care Act’s insurance marketplaces. Or it might all add up to a big fuss about nothing. The controversy focuses on a feature of the ACA known as “cost-sharing reductions.” These are payments the government makes insurers to compensate them for capping out-of-pocket costs, deductibles, and other expenses for needier customers. In their suit, Republicans on Capitol Hill claim that the Department of Health and Human Services violated the Constitution by spending money for these subsidies, even though Congress never appropriated the funds. The administration had argued that the case should be dismissed because the House lacked standing to sue, and that it wasn’t the court’s job to intervene in what it deemed a political dispute between the two other branches of government. Judge Rosemary Collyer disagreed. Though she did not rule on the merits of the case in any way, the House will get to make its argument in court. But even if they win the right to argue their case, the House Republicans’ argument might be a lot more feeble than it looks, as David Super, a Georgetown University law professor, explained to me. By passing the Affordable Care Act and instructing the administration to pay insurers their subsidies, Super said, Congress effectively appropriated the funds to do it. “The Supreme Court has been very clear that you do not have to have a law that says ‘appropriations’ across the top. You just need a law directing that the money be spent,” he said. But there are even deeper reasons the case might not in fact be a very effective weapon against Obamacare. If the administration did lose at court, insurers would still be entitled to their subsidy payments under the law. Therefore, they could simply file their own suit against the federal government at the Court of Federal Claims and collect the money owed to them.